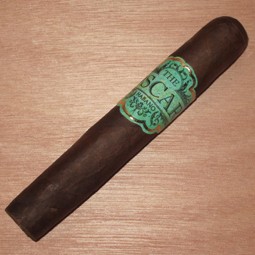 Oscar Valladares Tobacco & Co. burst onto the cigar scene with Leaf by Oscar, which came wrapped in a tobacco leaf instead of cellophane. The Oscar Habano maintains the same unique packaging, this time with a Candela leaf covering the aqua-colored band. 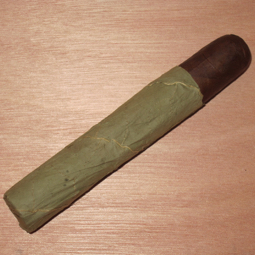 The dark Ecuadorian Habano wrapper surrounds Honduran binder and Nicaraguan and Honduran filler. The resulting smoke features oak, bread, cream, pepper, and earth. It reminds me a lot of the original San Cristobal (a cigar I enjoy), but with an added Honduran grittiness and red pepper spice. Even with a price tag of $11, I’m very impressed by The Oscan Habano.